John Dingwall at the Scottish newspaper the Daily Record reports that BBC Scotland will air a documentary on one of my favorite actors, the Great Scot, Sean Connery. As Sir Sean Connery reaches his 85th birthday, friends, actors and directors have paid tribute to Scotland’s greatest movie star. Sir Jackie Stewart, Pierce Brosnan, Laurence Fishburne and George Lucas are among big names in a 60-minute BBC Scotland documentary on the ultimate James Bond’s life and career. 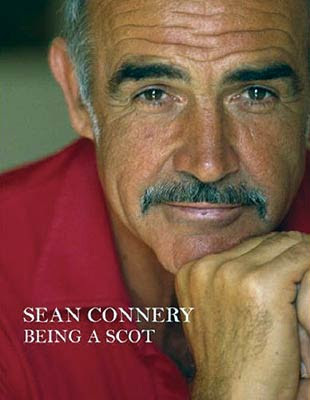 The film features archive interviews with Connery spanning 50 years until his retirement from acting in 2003. Connery will turn 85 on August 25 but it was in 1962 that he redefined the action hero with a role that catapulted him to global superstardom. Note: It is true that Bond author Ian Fleming was initially not pleased with the role of Commander Bond being portrayed by the rugged, working class Connery, but he soon warmed to him. And the rest, as they say, is history.